SABC Board interviews - SABC News - Breaking news, special reports, world, business, sport coverage of all South African current events. Africa's news leader. 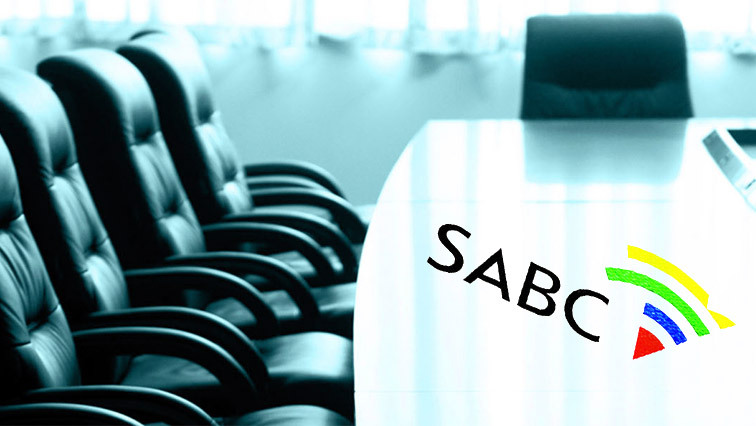 On Tuesday, 05 March 2019, Parliament’s Communications Committee begun interviews into prospective candidates to serve on the South African Broadcasting Corporation (SABC) Board. The three-day process began with Jasmine Patel. Advocate Mzwakhe Mofokeng, who was the second candidate to be interviewed, promises to bring technologies to switch TV set of people who don’t pay TV licenses. Advocate Motshedi Benjamin Lekalakala started first community law clinic in Alex and he also started his own law firm. He practiced as an attorney and advocate. He worked as a Chief Director at the National Department of Social Development. He worked as an executive at Telkom. He has worked at Gauteng Gambling Board as CEO, the City of Johannesburg as the secretary to council. Afterwards he worked at the City of Ekhuruleni as secretary to council. Lekalakala says he has acquired experience as an executive to ensure that the SABC gets out of trouble. He says he will implement the prescripts of the law. Mr Nkosana Mbokane studied IT and holds MBA in corporate structure. Ms Mamodupi Mohlala-Molaudzi who is an attorney with a LLM. She has been in the telecommunications and broadcasting sector before. She spent seven years at Icasa as a councillor working within broadcasting and telecommunications. Mr Siphile Buthelezi studied law and did articles at Bowman Gilfillan. He also worked in New York for a while. Former South African Broadcasting Corporation (SABC) Board member Sembie Danana told Parliament’s Communications Committee that he resigned from the board previously after they failed to remove former COO Hlaudi Motsoeneng. He was the first to be interviewed on Wednesday. Danana, lives in Mthatha but spends most of his time in Johannebsurg. He studied a B.A journalism degree at Rhodes University, B.A. (Hons) in Anthropology and has a MBA. Danana serves as Chairman of a branch of the African National Congress (ANC). He serves as Director of Waterpan Mining Company (Proprietary) Limited, Ezulwini Mining Company (Proprietary) Limited and First Uranium (Proprietary) Limited. He served as a Non-Executive Member of South African Broadcasting Corporation (SABC). Chief Livhuwani Matsila, the second candidate, has a Masters degree in Science. He says he has worked in many sectors such as agriculture and heritage. William Malema Ramoshabo holds a B Com degree from the University of Limpopo. He is one of the founding members of the Black Business Council. Adv Lufuno Nevondwe has a Masters of Law (LLM), University of Venda 2005. Mini dissertation passed with distinction. Bachelor of Law (LLB), University of Venda 2003. Graduated with numerous distinctions. Doctor of Law (LLD in view) candidate, University of Limpopo. Certificate, Corporate Governance and Advanced Emotional Intelligence and Leadership Skills and Ombudsman Training. Lulama Mokhobo has extensive executive leadership experience in both the private and public sectors. She was previously SABC Group Executive for Public Broadcasting Services. After obtaining her BA degree from the University of Botswana and Swaziland, she completed her Master of Science qualification at the Utah State University in the USA. Mokhobo says she did not leave the SABC because of former Chief Operations Officer Hlaudi Motsoeneng’s bullying tactics at the public broadcaster. Mr Mpiyakhe Richard Mkholo has studied at various universities and in 1994-1997 he worked for the SABC. On SABC 3 he was a commissioning editor for documentaries. Even after leaving the SABC he worked as a communication person and engaged with the SABC. He also engaged with the public broadcaster extensively when it embarked on the editorial policy review. Dr Marcia Socikwa is currently serving as a Vice- principal of Operations and Facilities at Unisa. She studied at Wits BA Hons majoring in African Literature Studies. She did her Masters and Doctorate abroad. She also had worked at Icasa. Tseisi was the last candidate to be interviewed by Parliament’s Communications Committee on Wednesday. He made headlines in 2016 when he gave evidence to the Parliamentary Inquiry into SABC – about rampant corruption at the public broadcaster. One of the nominees is Mary Papaya. Papaya is one of the founders of the South African National Editor’s Forum, she is a journalist and media activist. She told the panel interviewing the SABC board candidates that listing Co-operative Governance Minister Zweli Mkhize as a reference in her CV has nothing to do with politics. She was asked by Democratic Alliance MP Phumzile van Damme why she listed Mkhize as one of her references. Papaya told the Parliamentary committee that Mkhize’s department was also involved in the return of the remains of Nat Nakasha, a project Papaya was spearheading. Bernedette Muthien was the next candidate to be interviewed. She has held senior executive management positions in academia, civil society and the public sector in South Africa and abroad. She is an accomplished facilitator, researcher and poet who designs, implements and evaluates projects for business, donors, government and NGOs. The next candidate was Nokuzola Ehrens who has over 36 years experience in ICT, 11 of which were in Technical occupations from programming to systems design and systems analysis. She started as a Trainee Programmer at Huletts Aluminium in Pietermaritzburg in 1982, an affirmative action position hosted by the Training Department, an opportunity that boosted her career in ICT. Ehrens worked for all types of industries focusing on IT & ICT development. She says she is ready to open opportunities for more worthy candidates to enter and flourish in the ICT Industry especially girls and women but not neglecting the boy child who also needs a positive start in his career life. Mmabatho Ramagoshi was the last candidate to be interviewed on Thursday. Ramagoshi is a South African government official, and the current Chief Executive Officer of the South African Heritage Resources Agency and Secretary-General of the International Alliance of Women. She is also chair of the board of directors of the National Film and Video Foundation, appointed by the South African government, and has a background as a Provincial General Manager at the SABC. This entry was posted on 07 Mar 2019,06:23PM at 6:23 PM and is filed under South Africa, Homepage Featured Story Slider. You can follow any responses to this entry through the RSS 2.0 feed. Both comments and pings are currently closed.